Below you can view all the homes for sale in the Decatur Heights subdivision located in Decatur Georgia. 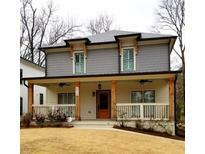 Listings in Decatur Heights are updated daily from data we receive from the Atlanta multiple listing service. To learn more about any of these homes or to receive custom notifications when a new property is listed for sale in Decatur Heights, give us a call at 404-998-4097. You'Ll Be The Gathering Spot For All The Holidays And Weekends! Come See It For Yourself! 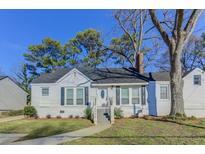 MLS#6534912. Atlanta Fine Homes Sothebys International. This Is The Perfect Space For In-Laws,Nanny Or To Use As An Airbnb.Zoned For The New Tally Street. MLS#6517371. Palmerhouse Properties. Close To Emory Dekalb Medical/Cdc/Emory Campus/Whole Foods. Stroll To Decatur Square. MLS#6514098. Keller Knapp, Inc..
New Tubs, Toilets, New Deck, New Paint, & Much More! Large Back Yard.Must See! MLS#6125840. Dawn Realtors. 0.4 Mile From Avondale Marta Station And Walking Distance To Shops And Restaurants Decatur Square MLS#6112915. Clickit Realty. Private Fenced Backyard Of This Size Hard To Find! 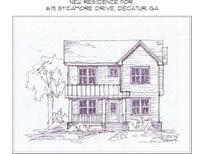 MLS#8461736. Keller Knapp, Inc. Private Fenced Backyard Of This Size Hard To Find! MLS#6062257. Keller Knapp, Inc..